Much more than a bear line. Easy. Stops the frustration of trying to drag a heavy line over a tree limb. Easy. 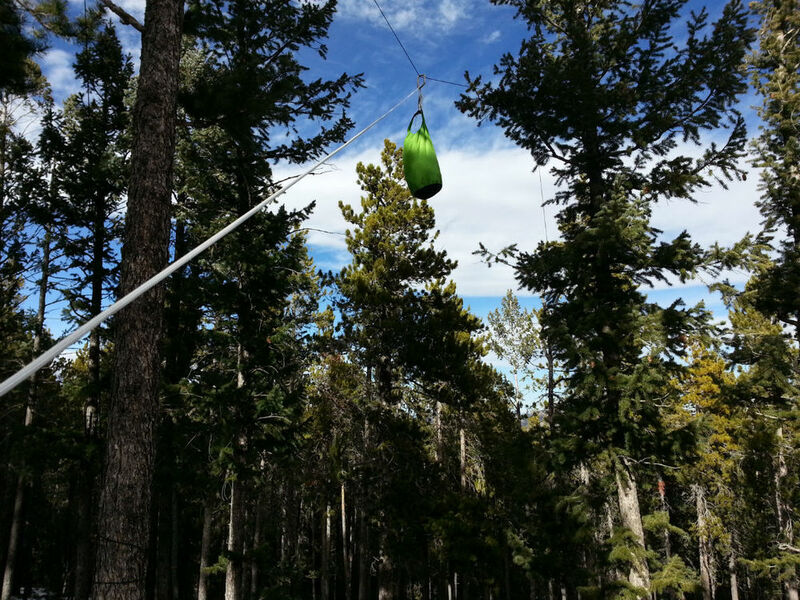 The block and tackle arrangement provides mechanical advantage to hoist heavier loads easily. Easy & Safe. 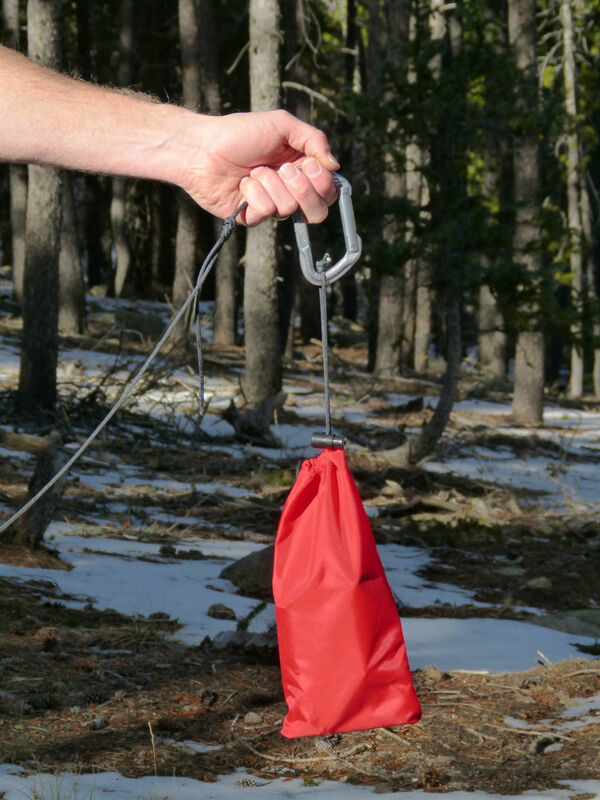 The CORDURA® throw bag replaces that loose rock that keeps coming untied and hitting you in the head. Easy. Generous lengths of paracord allow you to string a bear line in a larger variety of places. Easy. Skip those frustrating knots with the climbing-rated carabiners. Easy. Color-coded paracord to sort lines with ease. Easy. Light weight. Easy to carry in your pack. Don't forget to add a 180 Stove, 180-VL, or Ash Pan for your pack. 180 Tack products are proudly manufactured and assembled here in America.